What is it? Carrageenan is a food additive derived from red seaweed also known as Irish moss. What’s it doing in my food? Carrageenan is seen primarily in many low-fat products or dairy alternative milks, yogurts and desserts. Its main purpose is a thickener for stability and consistency. Sounds pretty safe, right? So, what’s the big deal? The biggest concern over this food additive is how it reacts in the digestive tract. Many current research is showing this natural food additive might be responsible for some harsh inflammation in the gut. So let’s start at the beginning. 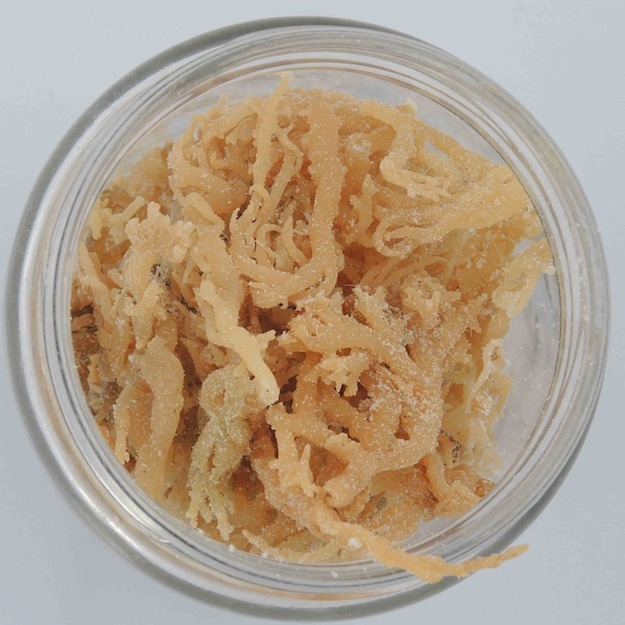 Irish Moss; a wonderful seaweed which is rich in vitamins, minerals and sulphur containing amino acids. Many people have used it for its healing effects on the gut due to its mucilaginous body. But wait, didn’t you just say that it’s derivative causes gut inflammation? How does that happen? Carrageenan is extracted from seaweed with either an alkaloid or an acid to give it certain characteristics. The carrageenan we see in food is “undegraded” which means an alkaloid was used during extraction. Carrageenan where an acid has been used is called “degraded” and is used when lab testing anti-inflammatory pharmaceuticals. Yep, that’s right! Degraded carrageenan causes inflammation and has been well documented enough that it is used by companies who are testing efficacy of anti-inflammatory drugs. So where does the problem lie? If the food grade carrageenan isn’t processed with an acid, then it should be safe for consumption, right? Let’s look at our digestive systems. After food has been chewed and swallowed it enters the stomach. And if you remember biology class you know that the stomach is acidic in order to help the digestive process. Ding, ding, ding! Hello acid! So now degraded carrageenan that was once safe has now been introduced to an acidic environment, sending it through the digestive tract to wreak havoc on our sensitive guts. And since each year more than 20 million Canadians suffer from digestive disorders, this is some important information to consider. Another big concern is that undegraded carrageenan is often contaminated with degraded carrageenan. While there is a 5% allowance for this in food, which is said not to create damage, many studies have shown that the levels of contamination vary and cannot be controlled. Test results by different labs showed contamination levels were anywhere from 5%-25% for the same products. And if you’re an information junkie like I am, you might look into some of the research conducted by Dr Joanne Tobacman who has been studying the effects of carrageenan for over a decade. If you’re dealing with an inflammatory digestive condition like Crohn’s, Colitis or IBS you want to eliminate the amount of foods that cause flare ups and discomfort. Even if you’re not dealing with a digestive condition, it would be safe to not rely so heavily on products that could cause you harm in the future. And proof is always in the pudding. Try it out. Eliminate packaged foods that contain carrageenan and see how you feel. 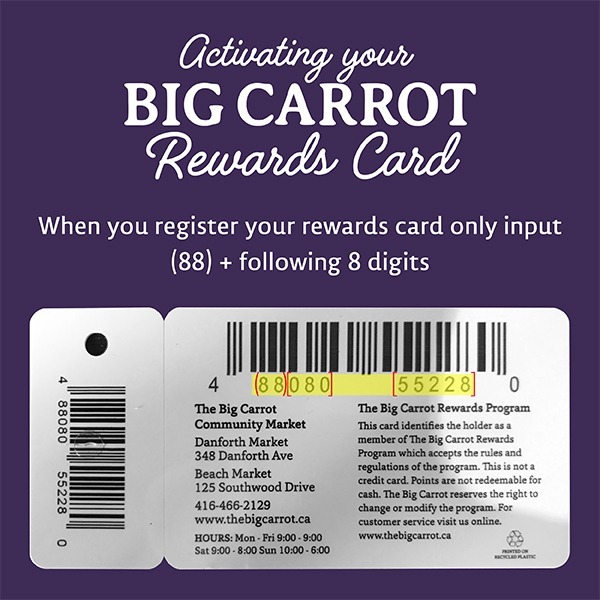 And to help you with this, I’ve made up a list of foods carried at The Big Carrot that contain carrageenan along with some practical solutions. All being said, I firmly believe that when whole foods are processed they lose a lot of their health benefits. Ask any nutritionist and their main recommendation will always be “get back to eating fresh, whole, organic foods and limit the amount of processed and packaged foods you consume”. So why not try to make those milk alternatives yourself? Click here for some great recipes. NOSB (The National Organic Standards Board) in the U.S. voted to remove the controversial seaweed-derived substance from the list of approved ingredients allowed for use in organic foods. Carrageenan’s latest five-year exemption ends in 2018. The USDA will review the NOSB recommendation in November 2018 and make it official. Many organic food companies have responded already to consumer concern about carrageenan by eliminating carrageenan from their formulations. Those remaining organic food companies will now be required to remove the ingredient in the years to come.